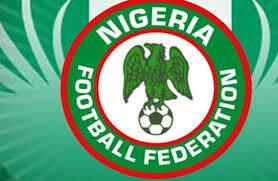 The Nigeria Football Federation (NFF) has congratulated coach Gernot Rohr and Super Eagles defender, Leon Balogun who both marked their birthdays yesterday. The German tactician marked his 65th birthday in Essentuki, Russia, and Brighton & Hove Albion new acquisition was 30th yesterday. NFF use their Twitter handle to celebrated Rohr and Balogun after two days from Nigerian exit in the hands of Argentina in 2018 FIFA World Cup. Rohr was appointed head coach of the Super Eagles in 2016 and he steered the team to qualify for World Cup in Russia and he in charge of 20 games, winning nine, losing six and drawing five. Balogun made his national team debut in March 2014 international friendly against Mexico as a replacement for Joseph Yobo and he has gone on to featured 22 times for Super Eagles.